HIGHLIGHTS: A .5 mile (.8km) easy loop trail leads from the Kipahulu Visitor Center down to the ocean at Kuloa Point past historic walls and pre-contact Hawaiian habitation sites. 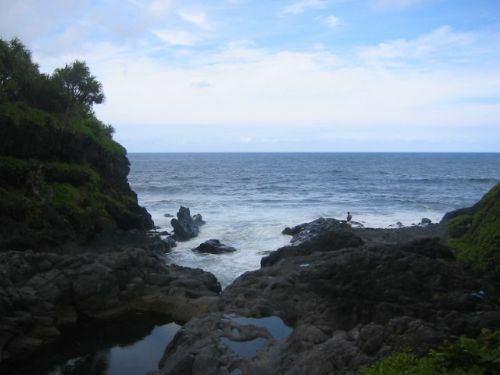 The trail passes a grove of hala trees on the way to beautiful views of the ocean and several large pools. Swimming is at your own risk. There are no lifeguards on duty. Serious injuries and deaths have occurred due to people jumping into the water from the cliffs above. The ocean currents at Kuloa Point are very strong and sharks and high surf are constant dangers. Do not go into the ocean here.